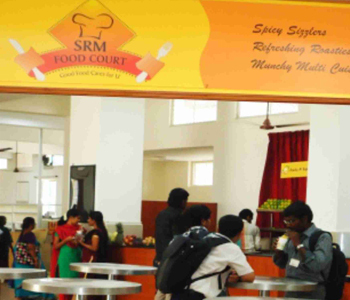 A multi – cuisine food court functioning in two floors is present inside the campus, that works round the clock to cater to the taste of all the faculties and students who come from different parts of the country. There is a separate section of fruit juices, desserts and continental food. The canteen and the food court are extremely hygienic with clean cooking and wash areas.